Microsoft Office 365, Azure Cloud Revenues: Growing How Fast? Microsoft’s latest quarterly results were impressive and the company hopes Windows 8, Office 2013 and Windows Server 2012 will drive new upgrade waves. 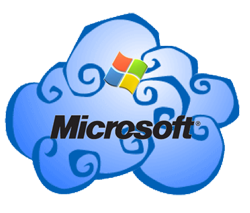 But Microsoft shared few details about its Office 365 and Windows Azure cloud revenues. Of course, many vendors are guilty of dancing around their emerging cloud and SaaS revenues. Google, for instance, never really talks about Google Apps revenues though the company did offer a high-level Google Enterprise update yesterday. “Just a year ago we introduced Office 365. It is now offered in 88 markets and 32 languages. In just one year some of the biggest global brands have embraced Office 365 to share information and connect with customers and partners. Global brands such as Lowe’s, Qantas, Japan Airlines and Hallmark Cards have adopted Office 365 to unify their communication and collaboration experience with a secure trusted platform. Those sound like impressive anecdotes. And Talkin’ Cloud certainly believes Office 365 and Windows Azure deployments continue to grow. But a statement like “800 new enterprise customers” on Windows Azure really doesn’t mean much. Are the enterprise customers each running a single Azure instance? Or multiple instances? Are we talking about big, strategic applications? Or a simple little app that serves a single department in a larger enterprise? How much revenue is associated with those 800 new enterprise customers? The answers are unknown outside the halls of Microsoft. And yes, Google is mum in the same way. Still, occasionally I hear anecdotes that catch my ear. For instance, Microsoft Channel Chief Jon Roskill has hinted that he believes Microsoft already is the leading provider of cloud software. That anecdote certainly includes Microsoft licensing Exchange, SharePoint, Lync and other apps to hosting providers. At some point cloud anecdotes will need to shift to hard facts. Customer numbers will become revenue and net income figures, fully disclosed. In the meantime, true cloud revenues over at Microsoft and Google remain a mystery.